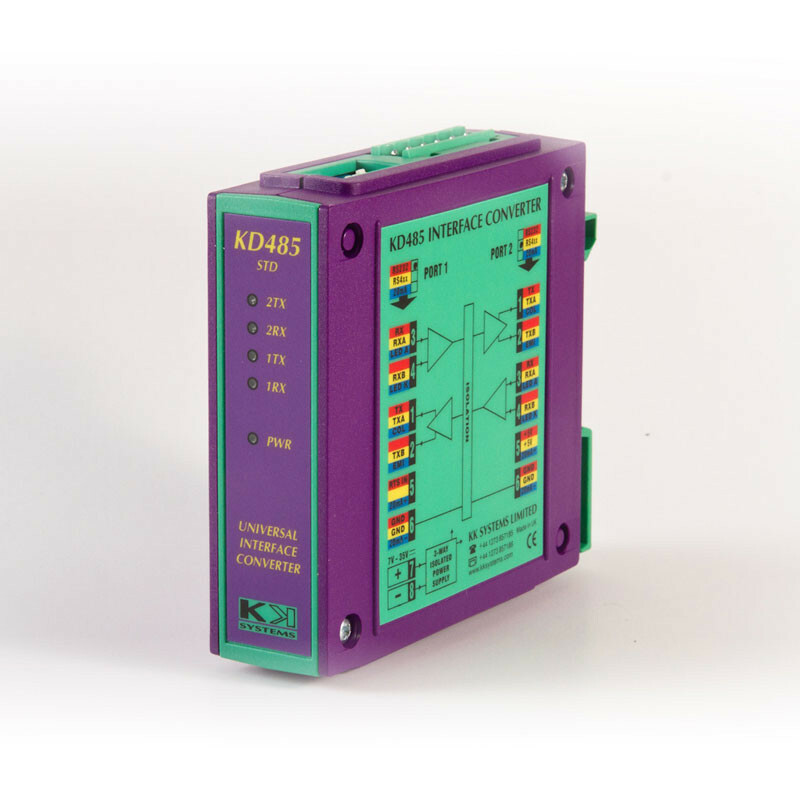 The KD485-STD is an interface converter/isolator only and is baud rate and character format independent. Its main application is in isolated conversion between RS232 and RS422. It can also drive a 2-wire RS485 bus if the RS232 host provides RTS Control. Requires a power supply in the range of 7-35 volts at typically less than 2 watts. The KD485-STD is an interface converter/isolator only and is baud rate and character format independent. Its main application is in isolated conversion between RS232 and RS422. It can also drive a 2-wire RS485 bus if the RS232 host provides RTS Control. It can also act as a Master on a 4-wire "RS485" bus. Requires a power supply in the range of 7-35 volts at typically less than 2 watts.